Our house is full of gadgets. Long gone are the days of non-electronic helpers or paper and pencil logs. If I can't find the information on my phone, iPad or laptop, I feel lost. Yes we have become electronically dependent, but that is a good thing. We can be help more responsible, find information faster and allocate our time better. Sometimes the simple approach can bring great results. When it comes to being more physically fit, there are numerous gadgets that can put you on the path of success. Yes, you have to log the hours in the gym, but you can find items to help you track your progress and achieve your goals. 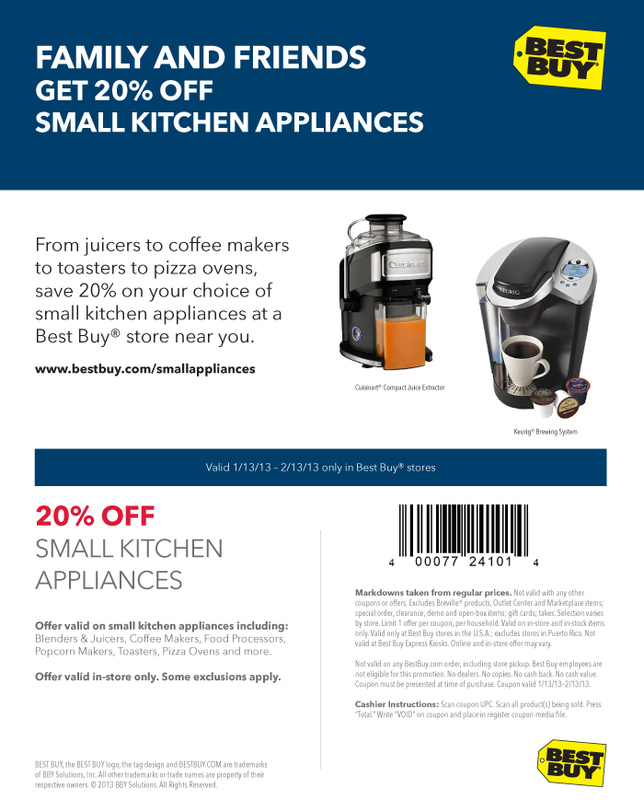 Best Buy offers many items that can make your life easier. I try to workout often. but I often wonder if the numbers on a treadmill or elliptical machine are accurate. Yes, I want to think that I did 6 miles in 45 minutes, but is it right. There is a possibility that the machine says I burned 550 calories (which means I could have a cookie) but what if that number is off (and I've blown my calories). The Fitbit - Zip Wireless Activity Tracker - Magenta is an easy to use device that counts your activity. This wireless activity tracker that shows your steps, distance and calories. Plus, this device easily uploads to your iPhone or Android device. Now when I'm out at the restaurant, I don't have to worry about going over my calorie plan. Also, you can get encouragement and fitness ideas from the Fibit website. This device retails for $59.99 at Best Buy. If you prefer a workout watch that does it all, I would turn to the Nike+ - SportWatch GPS Powered By TomTom - Black/Red. Simply put this all in one device on your wrist and you are ready to take on the next exercise challenge. Whether you run indoors on the treadmill or brave the elements outside, the Nike + SportWatch will give you all the results from your workout. The fun part about this watch is that it reminds you if you haven't worked out. After five days, you will receive an alert to keep you on track. Also, you can track your previous workouts to gauge your improvement. The Nike+ SportWatch is higher end and retails for $149.99. If you are serious about improving your fitness, this watch could help with your goals. 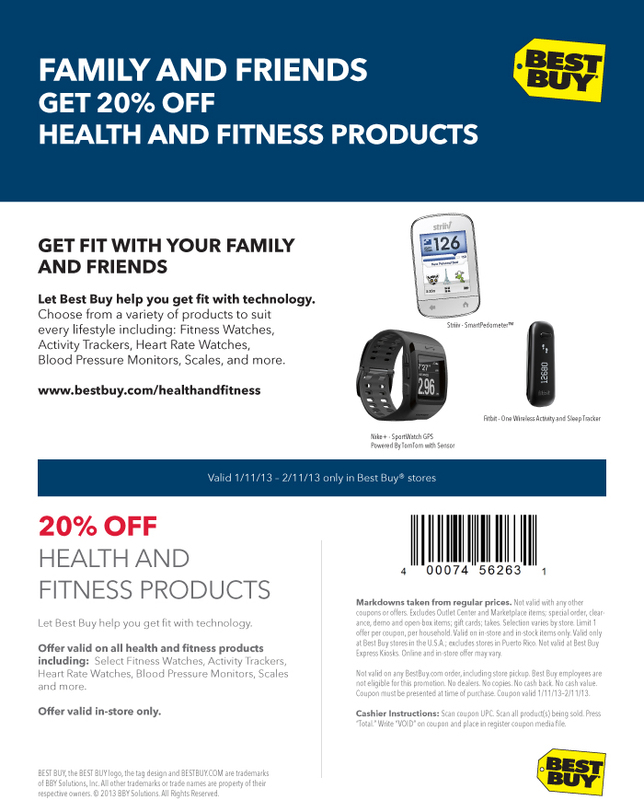 Right now Best Buy wants to help you get healthy for the New Year. 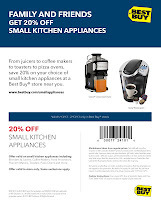 Now through 2/13/13, you can save 20% on small appliances and health and fitness products. No more excuses in 2013! Let Best Buy and their products get you on the fast track. These all sound fantastic and I love BEST BUY!